Our People. Our Vision. Our Future. 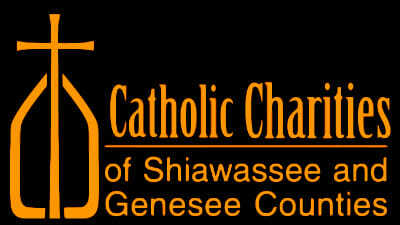 Since 1941, Catholic Charities of Shiawassee & Genesee Counties has worked to strengthen lives and preserve families by providing quality, comprehensive, human service programming and services. Today, we continue to fulfill our mission – Providing Help and Creating Hope – by offering all individuals, regardless of faith or situation, the means to reinforce the positive values of family life, by contributing to harmonious family interrelationships, and by promoting healthy personality development for individuals and families. Catholic Charities abides by fundamental values and ethical standards as determined by the Roman Catholic Diocese of Lansing. Driver’s License Assessment – This assessment is conducted for individuals seeking to ave their driver’s license reinstated following a suspension or revocation. Clients are able to use this assessment, and subsequent recommendations, as part of the reinstatement process. The assessment may include recommendations for a return of driving privileges with or without restrictions or continued suspension or revocation. Extensive Outpatient Services – These services are structured to provide an increased level of care to those clients having difficulty abstaining from substance use. Treatment occurs in a safe, secure, and encouraging environment of a group of three or more people, three times a week, for three hours each day. This program is ideal for those who do not need the intensity of a residential treatment program, but who would still benefit from individualized support. Health Professionals Recovery Program – Tailored to assist professionals in the health care field who suffer from a substance use disorder, this program supports the client in a healthy recovery process, so that they may return to work. Both individual and group therapy sessions are offered to assist with recovery skills development, to ensure safety for both the client and the public whom they serve. Professionals may refer themselves, or may be referred by the State of Michigan. Our counseling program helps children, adolescents, individuals, and families experiencing emotional or mental health issues such as: Depression, Anxiety, Grief and Loss, Divorce, Anger Management, Substance Use Addiction, Family Crisis, Domestic Violence, Parenting and Pregnancy. Catholic and Christian counselors are available upon request. Most insurances are accepted. Fees are based on a sliding scale. Click here to view the counseling services flyer! Prevention specialists provide support groups, programs, and classes in an effort to strengthen individuals and families, as well as make children resistant to substance use. Prevention programs may be provided in the home, school, churches, or other locations in Genesee County. Curriculums are selected from evidenced-based programs. For more information, call 810-232-9950. Second Step – (Flyer Here) This is an 8-10 week program for children ages 5-12 years. Topics include empathy, impulse control, problem solving as well as effective communication and conflict resolution. Mr. Gaines Gardening PLUS Program – This is a community-based mentoring program for at-risk adolescents. Participants learn job skills through classroom instruction, marketing and growing produce, as well as selling their harvest at the Flint Farmer’s Market. System Training for Effective Parenting (S.T.E.P.) – (Flyer Here) This seven week program is designed to help parents understand misbehaviors, build self esteem, develop communication skills, as well as to learn safe and effective discipline techniques. Parenting Young Children – For parents of children ages newborn to five years. P.E.A.R.L.S – (Flyer Here)PEARLS is a no-cost series of group edu-cation classes for older adults. Topics ad-dressed are issues of depression, healthy aging and life changes, emotional and physical health and problem solving. Indi-viduals will learn how to re-establish healthy routines, increase positive experiences, and make changes to lead a more active and rewarding life. The Nurturing Father’s Program- (Flyer Here) Throughout history fathers have been considered a valuable and im-portant part of both a child’s and a family’s life. Recent research overwhelmingly supports the benefits that accrue to children and families through positive father involvement. Children and families greatly benefit from the presence and participation of a nurturing father. Families and Schools Together (F.A.S.T.) – (Flyer Here) This eight week prevention program works collaboratively with schools and families, targeting elementary students experiencing behavior problems. Through family games and activities, the program helps parents become more involved with their child, develops family communication, and builds a support system between parents. Students and families are also educated on the negative effects of alcohol, tobacco, and other drug use. Kinship Caregivers – This prevention program offers guidance, training, support, and case management, as well as respite care and support groups to persons raising a relative’s minor child. Survivors of Suicide – This group meets twice a month to offer help, support, and understanding in a caring, non-judgmental atmosphere for those who have lost a loved on to suicide. Anger Management Education – This program is designed for adults and adolescents who experience problems due to anger issues. Topics will include identifying anger cues and triggers, family history of anger, anger and substance use, as well as developing healthy coping skills. Groups are offered for both adolescents and adults. Substance Use Education Program – (Flyer Here) A program designed for teens, or parents of teens. Participants will learn about drugs, how they affect the body, and the effects of drug use on relationships. Alternatives to Violence (ATV) – (Flyer Here) This aggression intervention program helps clients to recognize unhealthy behavior patterns and to enter the process of becoming non-abusive. Groups are available for both men and women. Prisoner Re-Entry Program – (Flyer Here) Clients receive outpatient support as they re-adjust to living in society. Co-Occuring/Dual-Disorder Services – Specialized services are provided for individuals experiencing substance use in addition to another mental illness. The program my include psychiatric, individual, and group treatments. Women’s Specialty Program – (Flyer Here) Group and individual outpatient counseling, as well as case management services, are provided for women with substance us disorder, who are pregnant or who have children ages 18 and younger. Women’s issues discussed include relationships, self-help skills, co-dependency, and goal setting. Center for Hope Warming Center: (Flyer Here) The Warming Center is open December 1 through March 31, 24 hours a day, and is located in the Center for Hope, formerly St. Michael School. It provides a safe environment for those seeking warmth from the cold. Kid’s Summer Camp – Providing fun, educational activities, as well as field trips, for area children ages 5-12 years. The camp, held Monday through Friday is free to participants and includes a nutritional breakfast and lunch. Summer Camp 2015 will be June 27 – August 5! Registration will be held June 13-15. Call 810-785-6911 for more information. Christmas Gift and Easter Basket Give-away Programs – Holiday gifts are distributed twice a year to children and adults in need, through community support and donations. Clients must register in advance. Call 810-785-6911 for more information. Post-Adoption Services – These services provide support for adoptees and birth parents who wish to search for their biological parent or child. General Foster Care Services – (Flyer Here) We recruit, train, and license individuals and families interested in becoming foster parents for Catholic Charities. Children placed in foster care have been removed from their homes due to abuse and/or neglect. Our goal is permanent placement for a child in a loving, caring, and safe environment.